Big Brother 16 Spoilers - LIVE FEED Kick Off Event Before the Première! Big Brother Spoilers > Big Brother > Big Brother 16 > Big Brother 16 Spoilers – LIVE FEED Kick Off Event Before the Première! Big Brother 16 Spoilers – LIVE FEED Kick Off Event Before the Première! 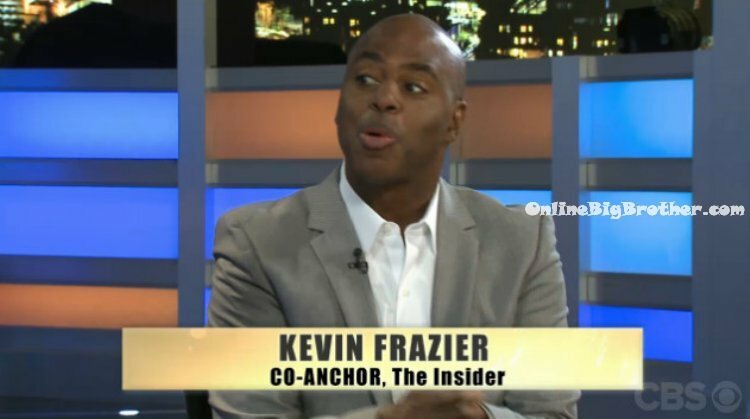 To Kick Off the 2-night Big Brother 16 première is a Live Feed Kick Off event hosted by Jeff Schroeder with special guests Big Brother 15 winner Andy Herren and Co-Host of the Insider – Kevin Frazier. The agenda for tonight’s live feed chat is to discuss the BB16 Cast, Twists and much more! Hopefully they will reveal some new information about the cast or this seasons twists. On the première tonight we’ll see the house guests entering the house, learn more about the twists and watch the first 8 house guests competing in the very first HOH competition of the season called “Go Fly a Kite!”. Can’t wait until the #BB16 premiere tomorrow at 8/7c? You don’t have to! Watch the Big Brother LIVE Kickoff Show tomorrow 7pm ET/4pm PT w/ Jeff Schroeder and special guests! They’ll break down the cast, twists, and more. When will the Big Brother Live Feeds begin? When does the Big Brother Early Bird Discount end? The Live Kick Off begins with Jeff introducing Big Brother 15 winner Andy Herren. They start off the session with talking about Andy winning his season. Jeff asks what this seasons cast could learn from his game play. Andy says that you really have to figure out what the best role is for you. Andy says that he knew from the diary room that he was being portrayed as Amanda’s little rat. Jeff asks Andy if he feels like is one of the best players to ever play this game? Andy says yes definitely! My game play was unprecedented. Jeff asks who else where the best players of all time? Andy says Dr. Will, Dan from season 10 and Ian Terry. Jeff asks if there was an all-star cast would you come back? Andy says yes definitely! Jeff asks what do you think these house guests could learn from you? Andy says be nice. The first half of the game is people liking you. Jeff asks how do you think the twists play into each of the seasons? Andy says they definitely play into how you play the game you have to use them to your advantage. Jeff asks what do you think of this seasons twist? Andy says he doesn’t totally understand it yet but that he thinks it could be good. He says he doesn’t really like how the HOH’s aren’t really safe but maybe there’s a caveat that makes that okay. Jeff asks what do you think of this seasons cast? Andy says this season has some intriguing cast members. Jeff asks who Andy’s faves are? Andy says that he likes Frankie, Christine, Zach and Donny. Jeff thanks Andy for coming down to talk. Andy asks the viewers to be nice to this seasons cast. The big brother preview of the house guests then plays. 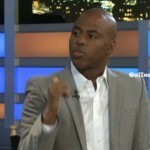 When the preview ends – Jeff introduces Kevin Frazier from the Insider. Jeff then asks Kevin to break down the cast. Brittany – The great thing about her is that she’s a mom. She’s used to organizing a household and how to play on peoples psychology. 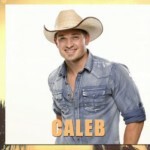 Caleb – I don’t think there is staying power here. Jeff says when I met him, it sounded like he really knows the game. Christine – Kevin says he’s concerned about her because she has already talked about missing her husband. Jeff says she’s a gamer. She also said she likes to be naked and is used to being naked at home all the time. Cody – Kevin likes Cody if he can stay away from a showmance. Love will mess you up! Derrick – He is a policeman. Will it be hard for him to break the rule. Jeff says that he thinks Derrick has what it takes to win it all. Jeff says he also said he was undercover for years. I would put money on him winning it as one of my top three. 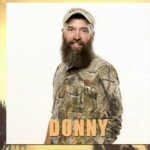 Donny – He is used to not having social media and lived in a time when people had to talk to each other. If he makes it past the first part of the season he has the chance to go far. Jeff says he is going to be hilarious in the diary room. Frankie – He is dangerous! He will go far in this game. He is very social and physically fit. Jeff says he is one of my picks to go far. Hayden – I think he will slide through unnoticed. Jocasta – I think she could be the person that gets annoyed with things in the house. She is a highly religious person. There will be some people in there that will push her buttons. Joey – I don’t know what her role will be and where she will fit in the house. She’s a wild card. Nicole – She said that she didn’t care what America thinks about her. I like that! She is coming in ready to play! Kevin says she is one of my picks. Jeff says she was passive in my interview with her. Victoria – Kevin says that he likes her and he thinks that she will be able to get the things she wants. Jeff says he thinks she will be cool with the guys but maybe not with the girls. Jeff says that all the girls said they get along better with guys than girls. Zach – Kevin says he is just too much. He is the Pow Pow factor in a man. Jeff says I kind of like Zach. He was playing the Stifler type of guy. Kevin says that won’t last. It’s an act. For Zach and Derrick who are playing characters its going to be tough to keep it up. To sum up Kevin says that he likes Donny, Frankie and Brittany. Jeff says that he likes Frankie, Christine and Derrick. Jeff says although I hate that Derrick is going in lying about being a police officer. Jeff says that his wildcard is Zach and pulling for Cody. Kevin says his wildcard is Hayden and pulling for Donny. Not even 20 minutes in and I’m already annoyed by 75% of the cast. Love Donny and Nicole!!!! I think they are great!!!! PAOLA…..I never thought anyone could be worse than Rachel. Anyone have a gun? Are you kidding me loved loved that season the Drama was Excellant!!!!! I always seem to take major heat when expressing my love for BB12. no worries, pow pow won’t last long, she’ll go in too hard, too fast. hey simon, dawg! welcome all to another obb summer! welcome back yo.. going to be GREAT! So so mad a storm blow out my cable lost the last 15 min what happened? nothing missed, retta, no online vote results ’till tomorrow, and jc announced the hg twist and arrival of another 8 hg. it’ll be up on cbs.com soon, you can catch the last. the house as a whole, I’m hoping Frankie don’t get his sister’s fanbase, we can’t have a second season like that in a row with one contestant getting unfair advantage with the fans because of a relative.. I hope the twists don’t screw up the season like last season… I’m liking the “2 HOHs 1 left by the end of the week”… Too early to pick favorites game-wise, but lookswise, I’m likin Joey.. Apparently BB decided they didn’t want a repeat of last year with no two factions constantly going head to head just a boring gradual attrition with barely any strategy – Amanda pretty much ran things without leaving the HOH room or strategizing at all. So they split up the houseguests to make the factions split right from the start…. Literally ANYTHING would be better than last season…. Before the first Big Brother starts, I’m introduce the first inductee into the Big Brother Hall of Fame Class of 2014 is Brendon Villegas!!! Congrats to Brendon Villegas into Big Brother Hall of Fame Class of 2014. Next week before live eviction. I will introduce the second inductee into the big brother hall of fame class of 2014!!! !